Flemington, Melbourne. It had only been a few months since I’d moved to this bustling inner-city suburb; its streets lined with quaint Victorian cottages in stark contrast with the ethnic restaurants that plied their trade on the main strip. While out on an afternoon stroll around the neighbourhood, I decided to follow the sounds of what promised to be a heady carnival and turned up at the Melbourne Showgrounds. The annual Royal Melbourne Show was underway. Navigating through the melee of rambunctious children, parading horses and screaming roller coasters, I found myself at a quieter part of the grounds, staring at a very familiar brick façade. Blinking rapidly to ensure it wasn’t a trick of light, I looked again at the well-known white logo emblazoned across the front. 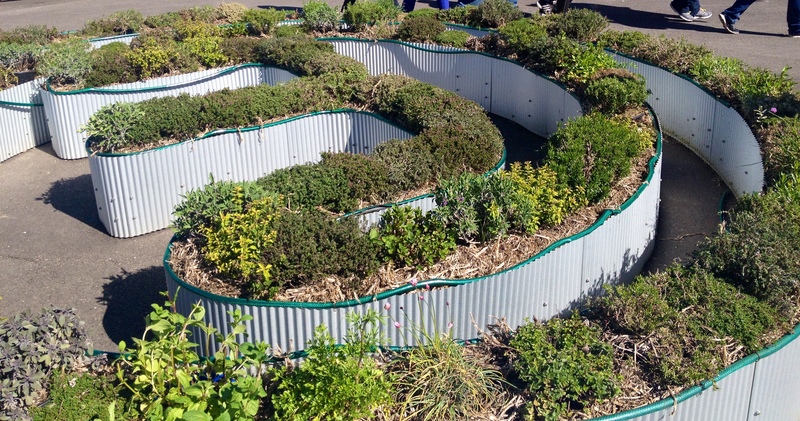 Then my eyes fell on the famous M-shaped herb garden – it was, indeed, the MasterChef Australia studios. Melbourne, the most liveable city in the world, is also lauded as a spectacular food destination. 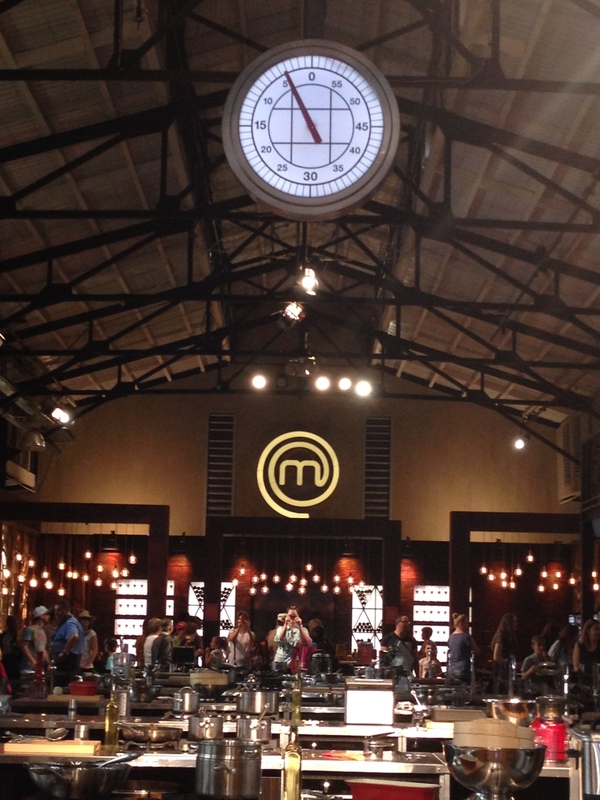 It is home to the MasterChef Australia studios, a fact that I, as a MasterChef fan, was completely unaware of until I stumbled upon it in my own backyard. The studio itself is housed in the Centenary Hall inside the Melbourne Showgrounds and can only be accessed by members of the public while the Royal Melbourne Show is in progress. Gambolling up the steps with other excited fans, I realised that the friendly faces greeting me on the steps and holding the doors open, were none other than the contestants themselves. Feeling rather sheepish, I entered through the giant, double-doors and was confronted by the tomato-red Vespa behind which sprawled the cavernous studio, corralled by the wrought iron gantry, made famous by the show. Touring the studios, I drank in the familiar sights – the judging table, the work stations, the clock disdainfully hanging over the hall, somewhat akin to a hangman’s noose. 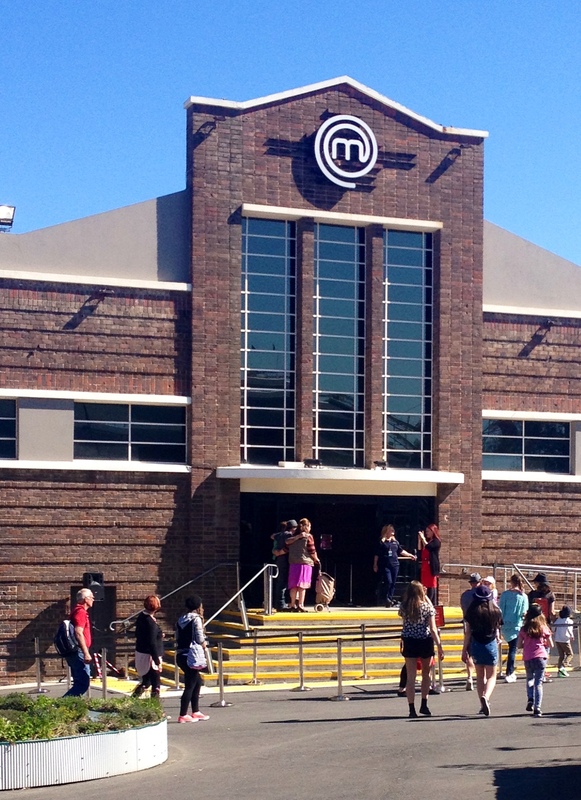 I walked out, star-struck, past the MasterChef finalists giving cooking demonstrations and taking photos with excited fans as their pots bubbled away. As I went past the herb garden, I spied a red chilli amongst the green foliage, beckoning at me like a beacon. Thinking it’d be a delightful accompaniment to the lau daal I would be cooking later that evening, I unabashedly nicked it for myself. 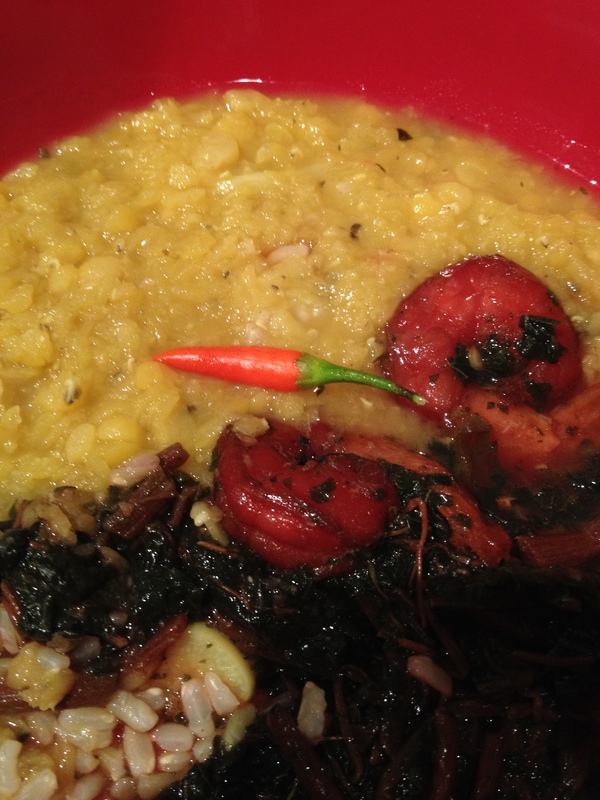 Perhaps my tour of the studios had inspired me to put in some extra effort, or perhaps the chilli had some magic MasterChef dust on it, but my daal that night tasted sensational. 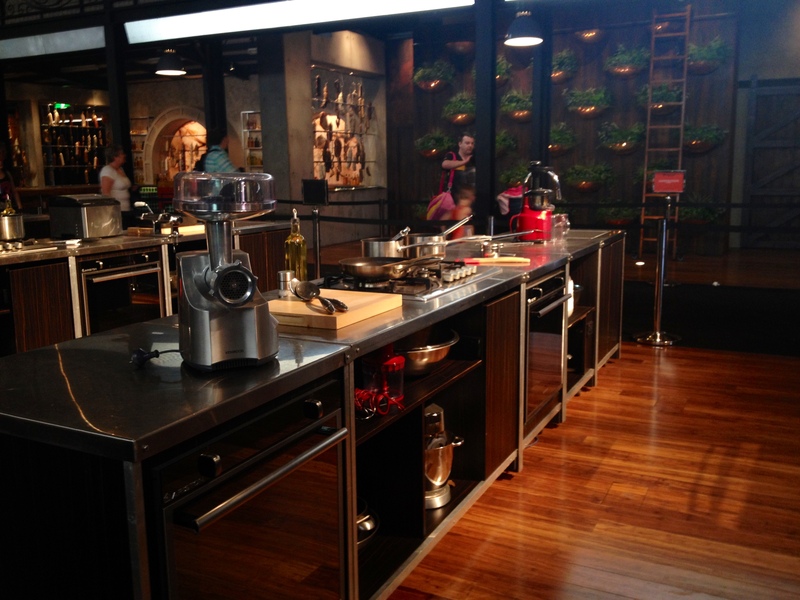 And as I reflected upon my day, I realised Melbourne was a MasterChef fan’s dream come true. 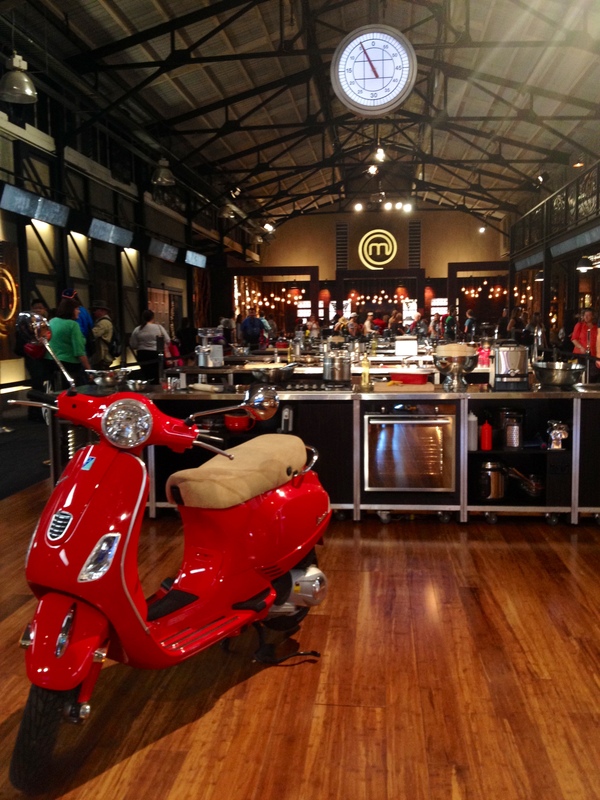 Asides from housing the MasterChef Australia studios, the city is home to many of the celebrity judges’ restaurants featured on the show. The vociferous George Calombaris owns several restaurants in Melbourne, all of which pay homage to his Greek heritage. The Press Club, located on Flinders Street, remains the jewel in his crown, promising a theatrical fine dining experience. However, not all of George’s restaurants are about fine dining. Jimmy Grants, with its multiple locations and serving delectable Greek souvlakis and creamy feta chips, operates akin to a takeaway joint. While the queues may be stretched, the prices though, are not. The more upmarket Gazi, on Exhibition Street and Hellenic Republic, with its taverna inspired restaurants across Melbourne also feature the best of Greek cuisine. It is possible to get a taste of George Calombaris without breaking the bank, as both restaurants offer reasonably priced lunch menus on weekdays. Gary, Mehigan, the jolly judge, co-owns The Boathouse, which serves up intriguing Italian fare on the banks of the Maribyrnong. Guest judge Shannon Bennett is head chef at the celebrated Vue de Monde on Collins Street, which pairs Australian produce with French classics. If fine dining is not to your palate, Shannon Bennett serves up small meals and lunchboxes at his café, Café Vue, a branch of which is also conveniently located at Melbourne Airport. He also owns a burger bar in Richmond, Benny Burger, dishing up succulent and sustainably sourced burgers. Celebrity chef and fan favourite Heston Blumenthal has recently set up shop at the Crown Towers in Melbourne. 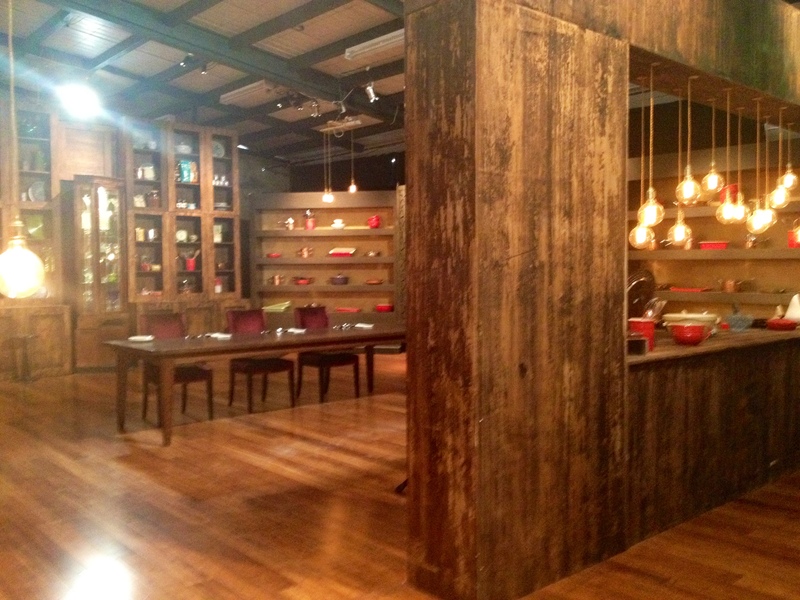 Dinner by Heston is characterised by his trademark and unorthodox culinary pairings. They too feature a slightly more budget friendly lunch menu. MasterChef fans who’ve been following Season 9 would have been introduced to the genius of Ben Shewry. Shewry’s Attica in Ripponlea, oft lauded as Australia’s best restaurant, touts modern Australian cuisine. Darren Purchese, of Burch and Purchese Sweet Studio in South Yarra, became a fan favourite by introducing viewers to the dramatic Passion Flower dessert in the latest season. He can often be found behind the counter of his dessert bar, as witnessed by yours truly, barking orders and simultaneously serving customers with care and grace. For an indulgent birthday treat, it is even possible to order one of their famous cakes. For MasterChef paraphernalia, head to the nearest Coles supermarket. 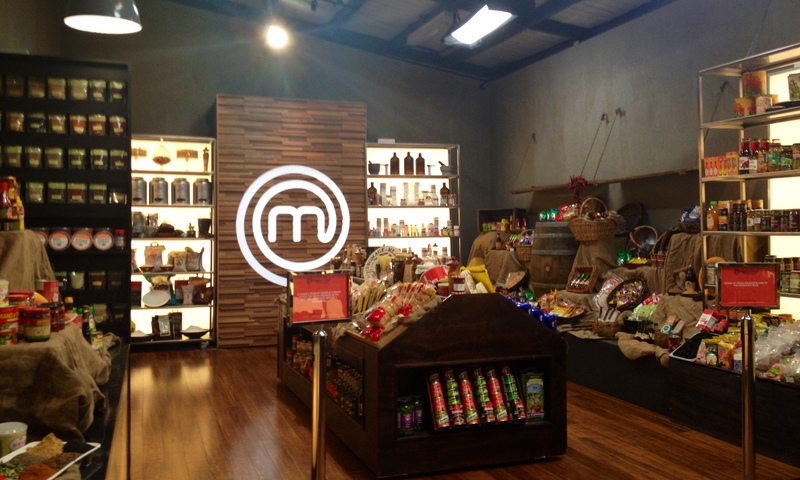 Not only does this supermarket giant supply all the MasterChef pantry staples, they also stock a variety of MasterChef products, starting from top-grade kitchen utensils and bakeware to the famous aprons. It is worth noting however, that these products sell out like hot cakes and are usually on sale during MasterChef season. If you’re unable to get your hands on the coveted kitchenware, there is always the option of shopping online with homeware stockists like Kitchen Warehouse. The Royal Melbourne Show generally takes place in spring. The Show is set to take place over 22 September – 2 October in 2018, at the Melbourne Showgrounds in Flemington, Melbourne.